In short, I'll just say I agree with you Jimmy. I've portrayed free, freed, and enslaved people as civilians and turned soldier in Virginia, Maryland, both Carolinas, Tennessee, Georgia, Pennsylvania, and Massachusetts across both late 18th century and mid-19th century. This author obviously has never run into a few folks I know who portray the experiences of Blacks in the past regardless of the era. Having been in or near the hobby since 1994 I’ve met hundreds or re-enactors, and while the whack jobs always seem to gobble up the spotlight, the vast majority are good people who care deeply about what they do. Picking on the kooks is too easy and being provocative for the sake of being provocative doesn’t sit well with me. That being said, Dr. Lafantasie is an excellent historian and I remember reading Twilight on Little Round Top and Gettysburg Requiem with great joy when I was working on my master’s thesis. We’ll just have to agree to disagree on this one. 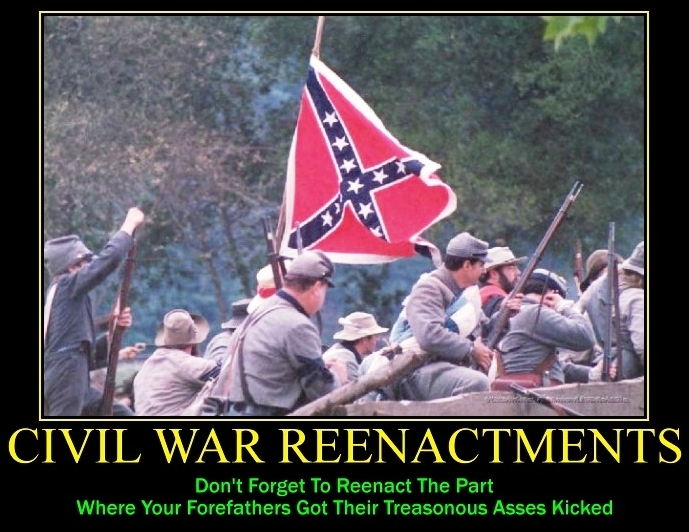 If the man doesn't like reenactments why don't he stay home. 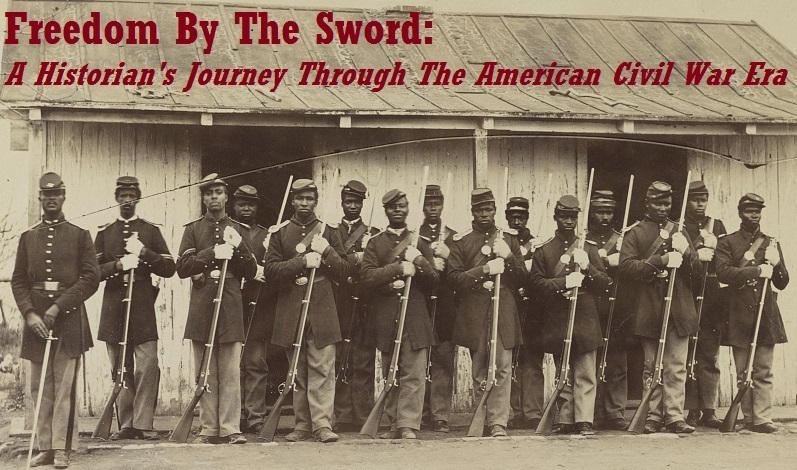 We actually have a few blacks in our battalion who portray Confederates and Federals. Jimmy Price, I have to agree with you. There are some idiots out there who attempt to take the spotlight at these events. I guess you run into that anywhere you go. What an excellent retort. You got to the heart of why Prof. Lafantasie is so far off the mark. (Apart from the fact that he wears his politics on his sleeve, and weakens his arguments even further.) And your response is so effective for a few reasons. One, you didn't resort to personal, ad hominem attacks, and two, you speak as someone who could in no way be lumped together with what Lafantasie sees as neo-Confederates who apparently dominate the ranks of reenactors. I thought about posting something on my own blog, but I can't speak with the authority of someone who reenacts. You can. Thanks for giving a voice to the other side of the story. I have met Glenn on more than one occasion and thought him to be a pretty level-headed guy. But his reactions to reenactors is much too much. Of course there are wing nuts out there. I have met them. I have also met scores of reenactors who take care to teach, live and learn from their experiences in living history. What's more, reenactors have been instrumental in battlefield preservation - something that even out of touch academics could appreciate. By the way, I will be at a reenactment this weekend in the San Fernando Valley...and will be interviewing living historians from both sides. This is an excellent post - thanks! Thank you for your kind words. I always read what Dr. Lafantasie says with great interest, which is why I was so disappointed with such an inflammatory and emotionally-based tirade. You make an excellent point about the re-enacting community and battlefield preservation. I would think that the desire to preserve endangered sites would provide much common ground for re-enactors and academics alike. Enjoy the event this weekend and let me know if you see any USCTs in the field! This is one of the most bizarre and rambling diatribes from a respected historian that I've read in a long time. I got the impression that it was really a critique of the Tea Party and rightwing politics masquerading as commentary on public commemoration of the war. Lafantasie's piece could be coupled with the rude comments by another well-known academic on Kevin Levin and Brooks Simpsons' blogs in a feature titled "Historians Behaving Badly." I know what you mean. 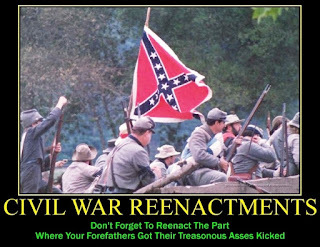 Taking birthers, the Tea Party, and re-enactors and lumping them together in one big neo-Confederate racist stew is a veritable extravaganza of logical fallacies. And does the world at large really need to know if Glenn Lafantasie gets burned out by studying the Civil War and needs a break every now and then? Is this unique to him? 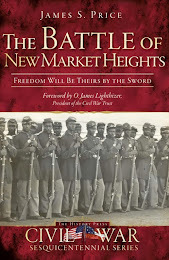 I’m finishing up a book on the Civil War and must admit to being pretty burned out at the moment. Does this qualify me to write for Salon.com? As far as the other blogs are concerned, the comment sections have gotten so crazy that I have officially given up on trying to figure out what on earth is going on over there! Excellent post and commentary, Jimmy. I think we are just beginning to see the tip of the iceberg that will develope over the coming four years. Amazing as that is to ponder, there seems to be no limit to the myopic assertions being proclaimed across the "Civil War" blogosphere. I sent an email to the good professor's university email address and received a form letter reply, "thanks for taking an interest in my article on Salon." LOL I guess engaging a re-enactor in a discussion is beneath him. Thank you for this post. Sometimes I think some academics just feel bad because they put in a lot of effort to write a book and the public flocks to see some guys "play dress-up." Being a reenacting academic I think both have something big to offer and we shouldn't shoot each other down. shall we all meet and have a nice little skirmish in his backyard? The guy writes for Salon.com. That tells you all you need to know about him. Typical leftist tenured professor who despises those who publicly commemorate our country's war dead. What a shocker. What's he going to do next, lambast 3rd graders who dress up like wise men during Christmas school plays? I am late to the commenting here but I will throw in my perspective anyway. I portray a regimental Hospital Steward attached to a field hospital. Along with the surgeons we try very hard to undo the image the popular image of 19th century medicine. In the 21st century I am a practicing pharmacist and have taken the time to purchase period texts and go out to the field with pill tile and practice the art of period drug compounding for the public. They are educated as to the amount paperwork the steward negotiated to keep the hospital functional. The difficulties of dealing with the shortages and surfeits are explained. The public is amazed to learn that 97% of all surgery was carried out with anesthesia. They are fascinated to know that Edward Squibb, Merck and others whom provide us with modern drugs got their start as purveyors to the Federal Army. The life of the steward consisted of mundane work of hospital administration and the engaging practice of pharmacy with little prospect of promotion. Not glory, but an honest portrayal of a reality to the best of ones ability. This is far from the portrayal of glorified violence which Lafantasie accuses re-enactors of. Our surgeons explain that 19th century medicine was not unscientific, however; the science of the time was undeveloped leading to predictably lackluster results by modern standards. Physicians had a keen eye for the dose response relationship…a reading of period physician diaries elucidates this. They explain and demonstrate that the surgical techniques of the time, though primitive by modern standards, were not butchery. They were deliberate and well planned to promote the patients recovery and functionality as they would have understood it. This portrayal is far from the caviler celebration of carnage that Lafantasie would like to think re-enactors portray. Our hospital does not resemble a horror show. Re-enactors portraying patients have this rule - be quiet or imitate delirium. These men were exsanguinated prior to arriving at a field hospital. Most of them were in shock from volume loss not yelling and “writhing in pain”. Each patient is triaged in 19th century fashion. The steward keeps good order and in keeping with his duty as an NCO will enforce and have discipline as all military hospitals did. No gore, guts or glory…but an honest portrayal taken right from primary sources. Not good for entertainment, but good for educating a public that has been taught little about this facet of history. Yes, we have all seen the “yahoos”. If Lefantasie’s objection is to grotesque portrayals of history that are neither accurate nor designed to educate than he would be hard pressed to find a re-enactor that would not have similar feelings. He paints with the broad brush and worse yet presumes to speak with authority about something he apparently has only cursory knowledge of at best. Moreover many of the “proper” ways to honor our dead he elucidates are practiced by re-enactors. I regularly visit the graves of men whom I have never meant and lived 130 years before I was born. In regards to sham battles there is a right and a wrong way to stage them. I have seen both. Before my current impression I was in the ranks as a private and have seen the good, bad and ugly. We have all been there and at least once involved in scenarios that we wish had never happened. It comes with the territory. Additionally, as re-enactors we are not blind to the limitations of our method of instruction. We cannot portray devastation on a large scale and with a gravity the is comparable to the actual event and we should always let our observers know that what they see is a mere shadow of how it was. The classroom has its place and so do re-enactors. In the end we all want the same thing….to educate. If we could put aside these foolish controversies we might just achieve a common goal. It's the passion he sees in the reenactors. It reminds him that he has none.